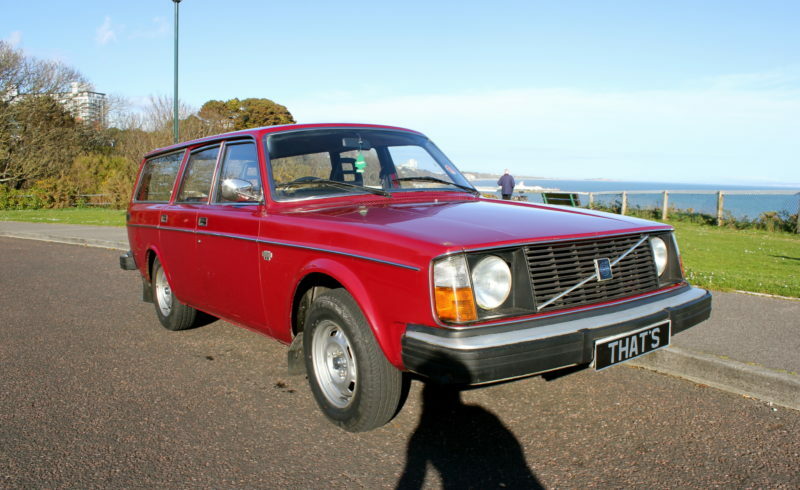 Bought new from a London Volvo Dealer in 1975, The original owner kept the Volvo right the way through until December 2013!! Yes, that’s right a original One Owner car!! During his ownership it was serviced regularly and keep in good order. It come with the original Service book, owners manual and tool kit. We have mot’s dating back to 1983, not full mot history but part history. The mileage is a mere 70,000 miles even thought the speedo reads 23,102. As with many of the 245’s it has had the speedometer changed, This is documented in the service history and is how we calculated out the mileage. Amongst the various sheets of service history there also are details of a trip to Italy in the late 1970’s. Offered with a 10 Months Mot until 15 of January 2015 and 5 Months tax. It has 4 good tyres with plenty of tread, happily cruises at 70 mph on motorways and starts up everytime. The interior is in good shape and is completely original, It has ton’s of space and is very practical as the rear seats fold down flat for a excellent load space. also comes with the original radio. The body work is decent but does have a scuff down the passengers side (see pic’s) and the odd bit of rust, there is also some rust around the rear arch. The underneath of the car is very clean and does not have any rust. This would make a great daily driver, Its practical, Fun and most importantly super cool!! Be quick, these cars are very rare and very popluar! !